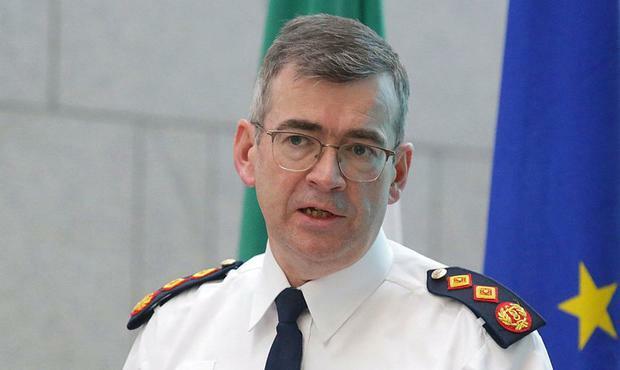 Garda Commissioner Drew Harris wants more gardaí fighting organised crime and terrorism from abroad. The Garda chief has identified the Americas and the Far East as key areas where liaison officers should be deployed to combat international crime affecting Ireland. Mr Harris said Irish people were being targeted by cyber criminals from outside the jurisdiction. Several members of the Kinahan cartel are currently based in Dubai, including gang boss Daniel Kinahan, after living in Spain for several years. The organised crime group are involved in the gangland feud which has claimed up to 18 lives, including murders in Dublin, Meath and Spain. The gang also has connections in the US and South America - all areas where Garda liaison officers are needed. Currently, there are around 15 officers stationed abroad, including with the UN in Cyprus, the UK, France, Spain, as well as with Europol and Interpol. Mr Harris said there was a need to expand the number of officers abroad given the ongoing threats from international crime. "I think it's very evident given the threat from terrorism, organised crime and, increasingly, cyber-crime that we need to expand our presence overseas and the tried and trusted way of doing that is through the liaison officer process. "We need to expand into the Americas and into the Far East as well," Mr Harris told reporters following the Policing Authority meeting. The Garda chief added that he envisaged four or five extra officers being stationed abroad, but said that this could increase depending on work levels. Mr Harris also stated that he has not identified any specific countries or embassies yet and that this is being reviewed. Due to the ongoing Garda crackdown on the Kinahan cartel and its associates, most of its senior members have fled overseas.